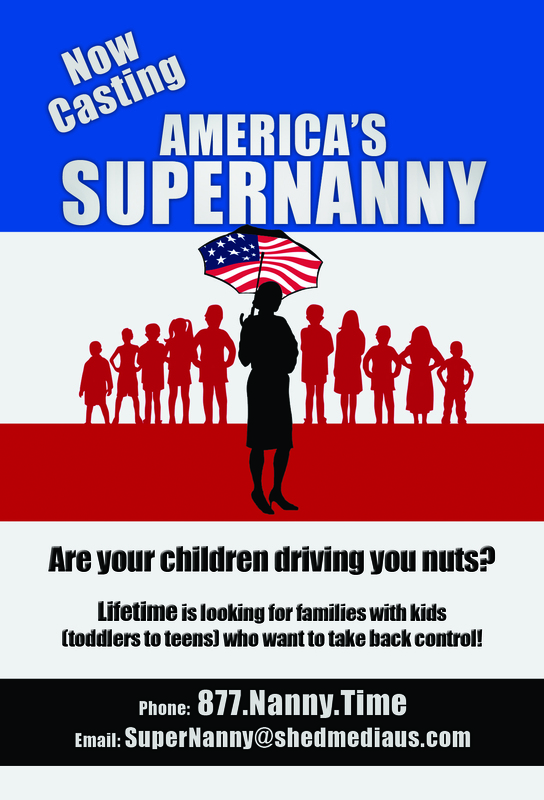 Supernanny is Casting in Boston: You Could Be Chosen! and greater New England to find families interested in receiving personalized advice for their unique circumstances. Interested parents can call (877) NANNY TIME (1-877-626-6984) or e-mail supernanny@ShedMediaUS.com for more information.